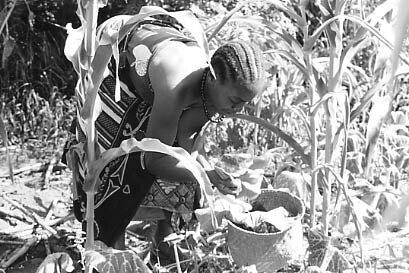 Much of the population of Tanzania lives in rural communities of subsistence farmers. Maize is the staple food grown, which is ground into flour and used to make a paste called 'ugali'. Millet is sometimes grown in place of maize. Beans and groundnuts (small peanuts) are also grown. Local varieties of cattle, goats and chickens are kept by more affluent farmers. 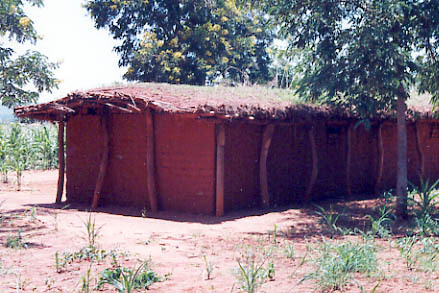 Rural housing varies from area to area, but is usually made from mud, with a thatched or metal roof.